Such badass cover art, luckily the US version got this one. Matter of fact, this game has a lot of nostalgic value for me, as it was the first MMZ and GBA game I purchased legit for myself. 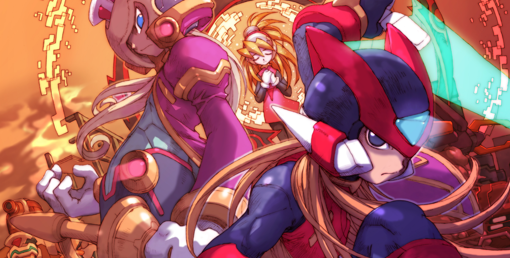 Before that I had just borrowed the original Zero from a friend, right after that though I bought MMBN3. These games are games that gave me very unique and cool experiences as a Mega Man fan. Good times, hope it comes stateside. THAT'S WHAT I GOT MY ZX WII U!